Bicycle Limited Edition Playing Cards #2 feature specialty images and unique heritage elements from past Bicycle Card designs. 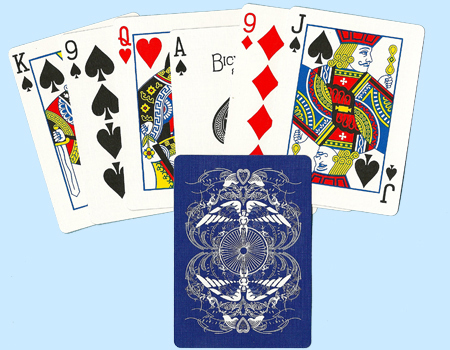 Each blue and white Limited Edition #2 Bicycle Playing Cards Deck combines a fun new look with the same exceptional quality you've come to expect from Bicycle Playing Cards. For more information or volume pricing on Limited Edition Bicycle Playing Cards #2, please contact us at 1-800-233-0828.